Mobility is one of the keys to longevity in training. Working on mobility will also unleash A LOT of hidden potential in your body. orking on mobility will help you break through plateaus and improve your overall health. You also need mobility to get strong and move well. Mobility isn't something we do for the sake of "getting more mobile". Mobility work is done because it's necessary in order to maximize one's potential and working on it has numerous of great benefits. Mobility work will allow you to maximize your progress in anything you do whether it's increasing the size of your muscles, building strength or developing movement skills. Without working on mobility you will either develop chronic injuries or just hit a plateau in your training. Lots of athletes, powerlifters and normal gym-goers consider pain and aches normal and "part of the game", but thinking this way is a massive mistake. Pain is not normal. Chronic injuries are not part of the game. You aren't tough because your knees are messed up by dumb training. Almost all chronic pains and injuries are fixable, and most of them can be fixed with correct mobility work. Mobility is strength in the range of motion of the muscle. The difference between mobility and flexibility is that with mobility you have control over the range of motion. For example, you are probably able to lift your leg relatively high with the assistance of your arms. That's flexibility. Mobility is when you are able to control the entire range of motion of the leg with just the leg muscles: you don't need assistance to lift the leg up. It's possible to have mobility in certain muscles and lack it completely in others. It's possible to have a very mobile upper body but non-existing mobility in the lower body (think of professional rowers or cyclists). When you work on building mobility in a specific muscle (which is many times needed), you are working on the mobility of that muscle. Overall mobility, also known as the structural balance is how balanced and mobile your entire body is as a whole. Structural balance is by far the most important thing you need for growth, health and injury-prevention. ​A balanced body that is mobile everywhere is almost bulletproof to injuries because it doesn't have any weak links to it. A good level of structural balance allows the individual to perform and handle any postures and positions the body is put into. Also, because everything is working correctly, no joint is getting too much unnecessary strain which helps to prevent many chronic injuries people experience. Your body wants to maintain balance by default. It's basically the body's injury prevention mechanism. You will not be able to grow to your full potential without structural balance, because the body will restrict your growth in order to stay healthy and to prevent injuries. The triceps need to counterbalance the size of the biceps. Likewise, the front side of the thigh needs to balance the muscles of the posterior thigh (hamstrings etc.). This should be obvious, but often times it isn't. Compound exercises are big multi-joint exercises like push ups, pull ups, bench press, squats and deadlifts. You need to be in control of the range of motion, just doing the full range of motion won't be enough (swinging, twerking etc.). Many people, mostly bodybuilders, use only a small portion of the range of motion which merely builds strength in that small range of motion. You want to build strength in the entire range of motion. Although working on the compound exercises will work, it won't be enough. This is when you need to start isolating the muscles. ​Moreover, with many compound exercises you won't be working all the muscles of your body with the full range of motion anyway. The key is to learn how to control the weak and immobile muscles. Once that's done, you can start building strength there. This is also the most challenging task because very likely a muscle is overlooked because the person doesn't know how to control or fire it properly. 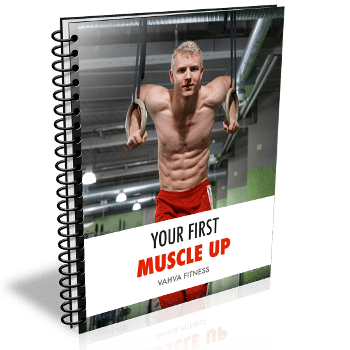 Many times it can be one tiny muscle in the shoulder that is causing problems or just one random muscle that has been overpowered by other muscles that do the same function. For example, it's possible that you have been trying to train the brachialis muscle of the arm, but instead you have accidentally overpowered it's function completely with biceps and brachioradialis (which are also elbow flexors). You can find all of our free mobility work b﻿﻿﻿y clicking here. Movement 20XX is a movement program, but it also includes very comprehensive strength & mobility workouts. The entire strength & mobility workouts of Movement 20XX were built structural balance and mobility in mind because they are indeed the keys to performance and progress in anything you do. The versatile training of Movement 20XX is high level stuff and it offers a great foundation for general fitness, sports, martial arts and pure strength work you won't build with heavy squats alone. You also need a strong and mobile body to perform different movements. Although many of the movements are simple and beginner-friendly, some of them are just pure strength and mobility. The reason this movement flow looks soft and "graceful" is because of the good mobility and structural balance. If you want to have grace and softness in your movements, you need to start working on mobility and structural balance. Maybe to be clarify, I meant a routine with your weighted stretching exercises, + strength focused exercises + mobility drills.